A CFD is a contract on an underlying asset (for example, a share, commodity or currency) to pay or receive the difference between the opening price and the closing price of the underlying asset. CFDs allow you to trade in the financial markets without actually owning the underlying asset on which the CFD is based. You can make money from CFDs whether the market (e.g. a share price) moves up or down. This is known as ‘going long’ (making money when the market goes up) and ‘going short’ (making money when the market declines). Of course, if the market moves against you (e.g. it goes down when you went long) you’ll make a loss, much like conventional types of trading. If you’re ready to start trading CFDs, visit our account application page. No need to deposit the entire amount of a trade: When using CFDs, you are not required to deposit the total notional value of the trade into your account prior to execution. You can trade on margins as low as 20% for UK equities. For example, if you are looking to take a position of £10,000 in an equity position with a 20% margin requirement, you are only required to deposit £2000. No fixed market direction: You are able to trade on stocks going up or down (i.e. go long and short), meaning that you are able to make money if you correctly predict the decline of a certain stock. Of course, if it goes the other way, you’ll incur a loss. No expiry date: CFDs do not have an expiry date, meaning you can hold the contract for as long as you want. Access to Level 2 Trading Data: When using CFDs, you have access to Level 2 data. This gives you up-to-date information on market sentiment and trading volumes. Live Prices: Our platforms allow you to trade CFDs, at market prices, with no added spread. No Stamp Duty: CFDs are increasingly popular in the UK as they are not currently subject to stamp duty*. This contrasts with traditional share trading, where you are required to pay 0.5% per transaction (in the UK). After receiving our daily research updates, you believe that the shares in Vodafone will rise from 260p a share to 300p a share. You call your dedicated Accendo Markets trader and inform him of what you believe will happen to Vodafone shares. You decide to enter the market when the price reaches 250p a share, so a limit order is placed at 250p – this means you’ll enter the position automatically if the price hits this level. You ask to purchase 4000 shares at 250p. Once the order is filled, you want to place a stop-loss at 240p and a limit at 300p. You are informed that the margin requirement for Vodafone is 20%, meaning that you are only required to have £2000 in your account in order to execute the trade. In practice, you may decide to put more into your account to provide a ‘buffer’. A day later your trader calls you to inform you that the stock is at 275p a share. Your trader will never advise you to sell the stock. However, they may inform you of trade progress and allow you to decide whether you would like to continue holding the contract or close the trade and take your profit. After a week of holding the contract your trader calls you to inform you that the stock has reach 300p a share. You had a limit in place at 300p, so a profit was automatically realised at this level. Of course, this is an example of a profitable trade. If the stock had moved in the other direction, you would have realised the equivalent loss. 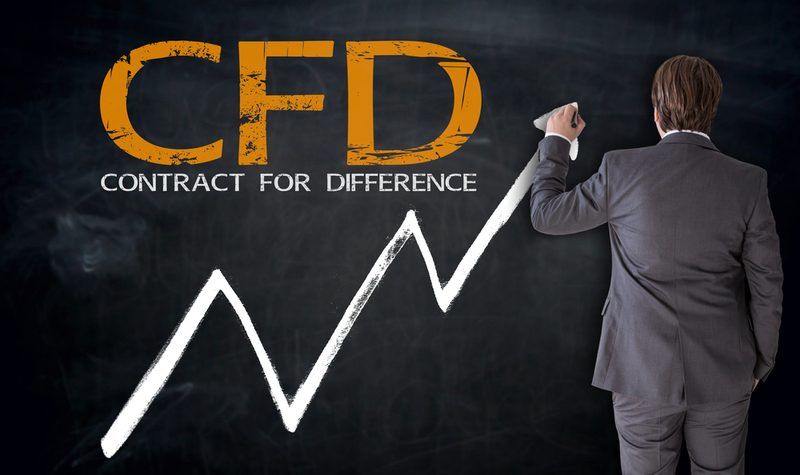 You may decide to place the trade on your CFD trading platform, rather than with your broker. Either way, we won’t charge you extra for telephone dealing. *Under current UK tax law. Tax laws may be subject to change. Spread bets and CFDs are complex instruments and come with a high risk of losing money rapidly due to leverage. 80% of retail investor accounts lose money when spread betting and/or trading CFDs with this provider. You should consider whether you understand how spread bets and CFDs work and whether you can afford to take the high risk of losing your money.